According to a spokesperson for the Massachusetts Registry of Motor Vehicles, civilians are not permitted to wear hats in their license photographs unless it is for religious purposes. 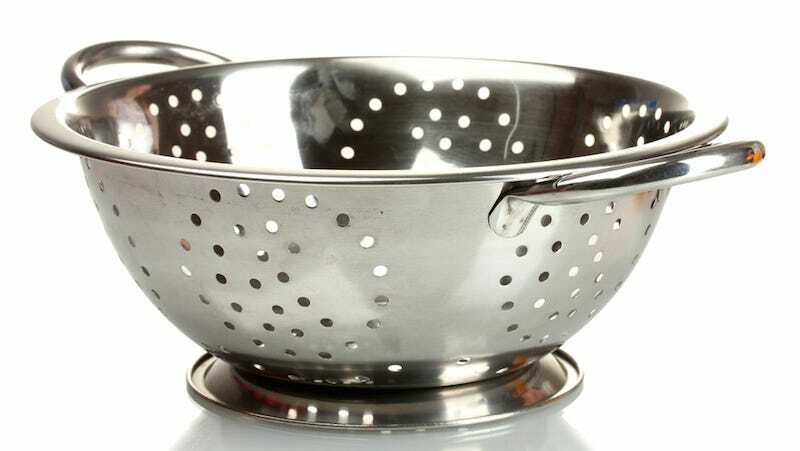 The colander often worn by Pastafarians (adherents to the Church of the Flying Spaghetti Monster) classifies as religious garb in the state. “I wish that it was more clear that the Church of FSM is not a mean-spirited group and that we’re not out to mock anyone’s particular religion or their religious hats,” reads a blog post on the Church’s official website.